Campbell Business Park seems to be a haven for fitness. You have Servus Centre, Mark Messier Arena, not to mention all sorts of niche fitness schools. 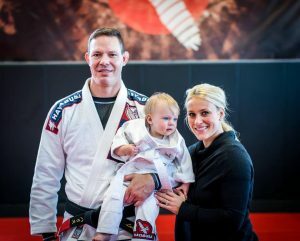 It’s no wonder that when Luke and Amy Harris opened the Hayabusa Training Centre over eight years ago, Campbell Business Park was the place to be. The centre has expanded three times over the years—with its current location being the third—which just goes to show the Harrises and their trainers are doing something right. 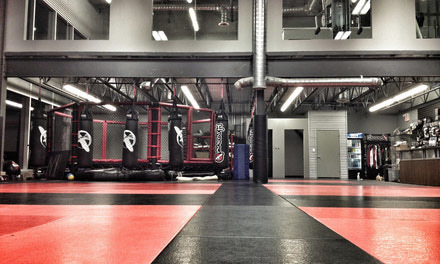 Hayabusa is an up-to-date fitness facility teaching everything from mixed martial arts to creating one-to-one fitness regimes for those who have specific goals. As soon as you walk into the centre, you feel welcomed not only by walls of windows letting in natural light, but also by Jo who sits at the desk by the entrance waiting to help you with any questions you may have. The students on the mat are happy and attentive to their trainers. There’s a lot of mentoring here from black belts, brown belts and blue belts who seem willing to go over any move a pupil isn’t quite sure about. Whether you are a beginner or experienced, you can be trained in wrestling; men, women and children can learn the intricacies of kickboxing/Muay Thai; four-year-olds to sixty-year-olds can be taught by a professional trainer in Jiu-Jitsu and love it. If your goal is to gain muscle or strength, Hayabusa’s dedicated professional trainers can help you in just one type of discipline or a combination. If you’re looking to gain knowledge in self-defence, Hayabusa is there to help you feel safe in any situation. They pride themselves on being a family-friendly environment, where you won’t feel intimidated by the more experienced, where your children can learn in a safe environment and where everyone can have fun. 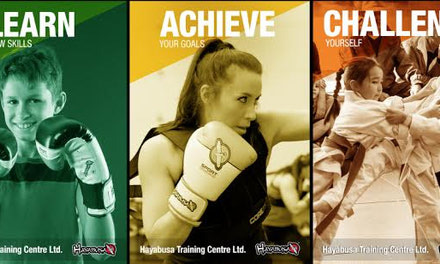 Hayabusa holds summer martial arts camps for kids aged 6 to 15. The classes last three hours a day Monday to Friday. Kids learn basic sports nutrition, boxing, kickboxing, wrestling and Jiu-Jitsu. These summer camps are great for kids who want to do a martial art but aren’t sure which one to try. Plus, all the equipment is provided by the centre. The centre also hosts seminars with world champion Brazilian Jiu-Jitsu (BJJ) practitioners, mixed-martial artists (MMA) and grappling legends, such as Bas Rutten, Eddie Bravo, Renzo Gracie and UFC fighter Nate Diaz. Harris says the centre’s competition team is very active and competes monthly at both local and international BJJ and Judo tournaments, plus MMA events. Any type of discipline offered at the centre is open to everyone, except the advanced MMA striking and no-Gi Jiu-Jitsu/MMA advanced classes. 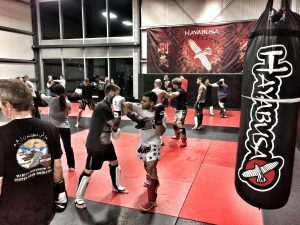 If you’ve always wanted to try a martial art, try a different fitness routine or just get out and meet new people, Hayabusa offers a free day pass. Hayabusa also offers fun ways to have a birthday party, bachelor and bachelorette parties and school field trips.